The Mokra are a subset of demons that were cursed by the god Tomius to become both immortal and to rot alive as a way to keep the highly sinful from fuelling Hell's fires while still punishing them for their deeds. These people were abandoned in the middle of the ocean to keep them somewhere they couldn't do wrong, where they'd eventually get exhausted and sink to the bottom, only to lie there in an undying suffocation induced coma. When Vohgan first stumbled upon one of these lost demons, attracted by the lingering smell of blood and rot, she was surprised she was unable to sense this creature's presence in her territory despite him still being alive. She brought him to the surface where she attempted for him to swear allegiance, a way to try out if she was able to grant him her blessing at all, and she was right: this doomed soul was able to tap into her own energy so that he could at least submerge and live in the underwater societies without having to surface every few minutes for air. She gave the man her own power to track down others of his kind and he got a clear vision of hundreds more across the world. She taught him how he could invite other banished to receive her blessing to survive underwater, and he was sent on his way to retrieve every single one of those doomed. 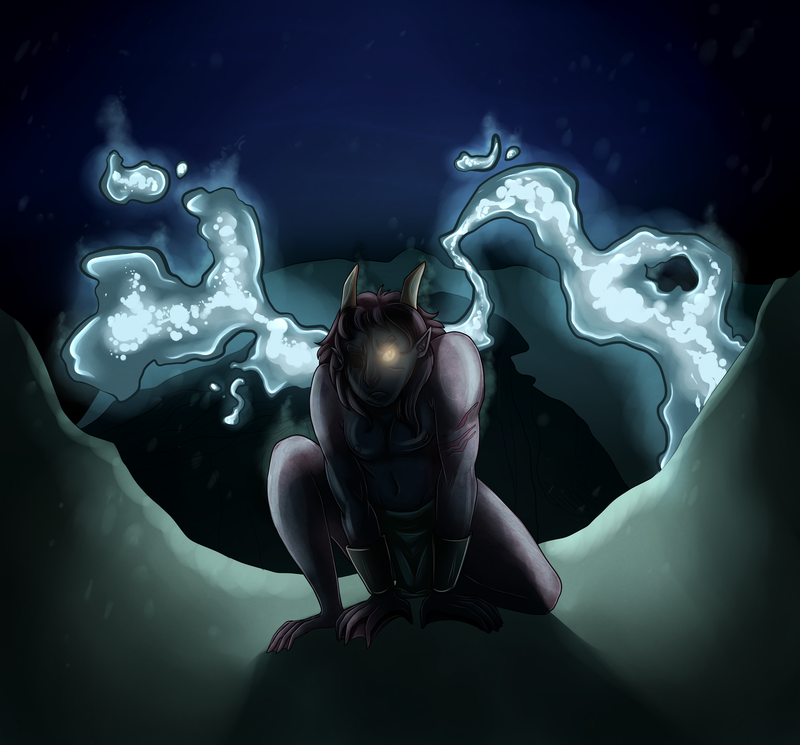 These new followers gained the ability to track down others who were lost or drowning just like the first one, and upon learning this Vohgan named them the Mokra, her trackers, and she promised them she would make sure that every single person who was doomed to this grim fate would get a second chance to live by her side as a Mokra. 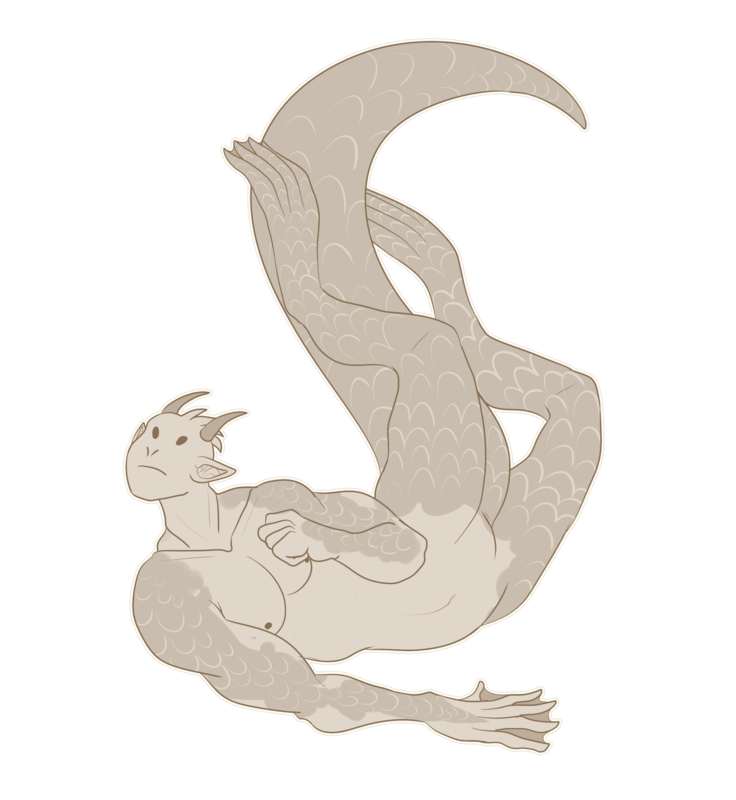 Over time, the army grew and the oceanic energy that fuelled the Mokra's bodies transformed them to be more fit for underwater living. The rot was partially lifted to become bearable and scales started growing over their body. They grew functional gills, so the energy that was previously used for breathing now could fuel the rest of the body and caused them to buff up their muscles to make them stronger swimmers. 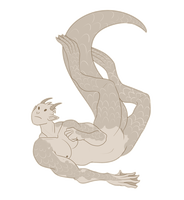 They grew out to be the fastest swimmers among the aquatic humanoids, guided by their efficient light essence.